To Lead is to Serve! Family Business Scalability. Can You Ramp Up Your Business? Welcome to HRB & Associates! • They are frustrated with their Teams ability to produce year over year profitability. • They are concerned with their ability to manage talent and succession plan. • They are fed-up with year over year cost increases. Our clients will tell you, HRB helped us make money, save money and build better Teams. There is "no charge for an initial consultation. If I can't help you I will find someone who will." We start with an assessment, metrics and performance. We believe that strategic planning, succession planning and Human Resource Management are results of understanding where we are, where we want to go and a metric driven approach to getting there. Hoshin Kanri or Policy Deployment is what’s accomplished by linking the business plans to results. 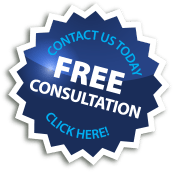 Contact HRB for a free assessment and introduction to our business consulting services. Enter your email address to receive my latest business information by email.